A fearsome warrior with a wild, impulsive streak, Rollo has begun to grow jealous of his increasingly prominent brother Ragnar. 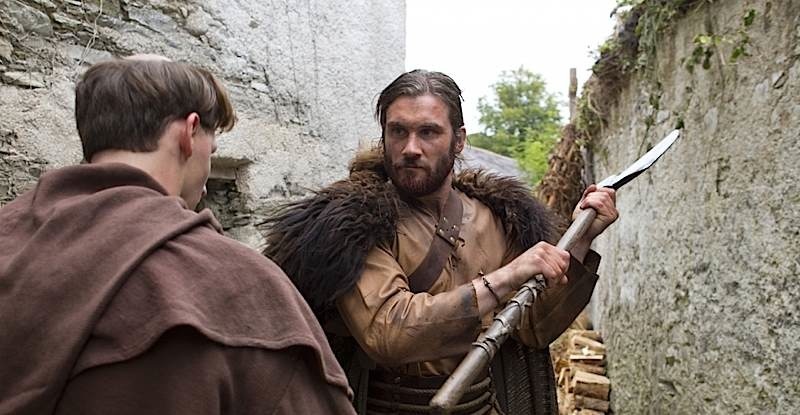 Though Ragnar has promised Rollo they will always be equals, tensions constantly threaten their relationship. 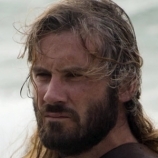 Clive Standen will soon be seen in Vertigo Films Hammer of the Gods in early 2013, however, he is best known for his portrayal of Sir Gawain in the Starz original series Camelot alongside Joseph Fiennes and Eva Green, and his starring role in the BBC America series Robin Hood. Prior, he played Private Carl Harris in the award-winning sci-fi BBC series Doctor Who and starred in the drama Operation Barras, about the infamous SAS mission in Sierra Leon. Standen was trained as an actor at the National Youth Theatre, the National Youth Music Theatre and the London Academy of Dramatic Art, and appeared in theatrical roles at the Royal Albert Hall and Shakespeare’s Globe Theatre, as well as in the critically-acclaimed revival of Tom Stoppard’s The Invention of Love. Born on a British Army base in Hollywood, County Down, Northern Ireland, Standen moved to England at the age of five. He discovered stunt-work and sword fighting, and by his teens was working as part of a professional stunt team, mastering skills such as horse riding, jousting and swordplay. A keen martial artist, he also studied Muay Thai boxing, and quickly became the undefeated national champion.